Having sturdy, solid and safe doors in your home is without a doubt one of the most important elements of security when it comes to safeguarding your property. Taking the time to source and install a high security front door for your property ensures that you are armed with the best first line of defence possible. Our range of external security doors ranges from traditional wooden panel doors, bespoke doors to your own design, high security doors and fire doors. Best Brothers Group extensive collection of internal and external security doors are available primed, with custom colours and designs are available on request. These range from steel security doors, to door and frame sets with fanlights, sidelights and raised or filled panels. We work closely with architects and designers to achieve great designs, style and more importantly, our customers’ security and peace of mind. As the first line of defence, your doors need to be durable, strong and finished with effective security and locking features. 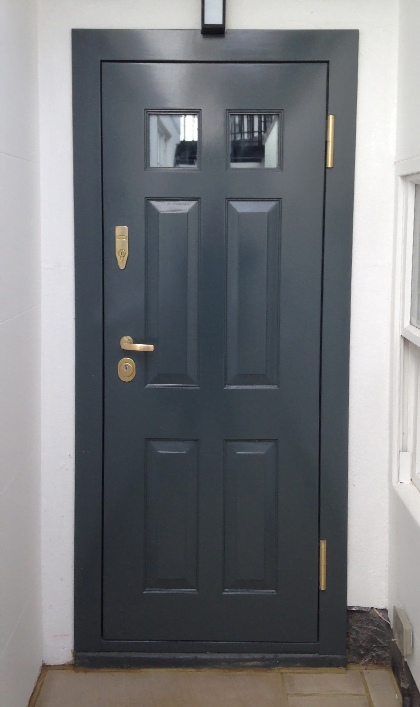 At BBG, we install Accoya wooden doors; utilising the world’s leading high-tech and long-life wood. The materials used to create these high quality security doors result in increased stability and hardness, making them the optimum choice for both domestic and commercial use. In addition to these characteristics, the standard range of security doors that we supply and install includes an integral 1.5mm steel sheet; offering even more reinforcement. Whatever the aesthetic design of your property, our experienced team can custom create the optimum internal or external doors to meet your specific requirements. Our designs can include a variety of panels such as single, three, four or six panel design. We can supply panelled doors to suit any style, from Edwardian and Victorian, to more modern decor. As well as external wooden doors, we also offer high quality interior doors. Our interior doors are suitable for a variety of sensitive areas, such as panic rooms and IT server comms rooms and offer excellent levels of security, as well as fire protection. 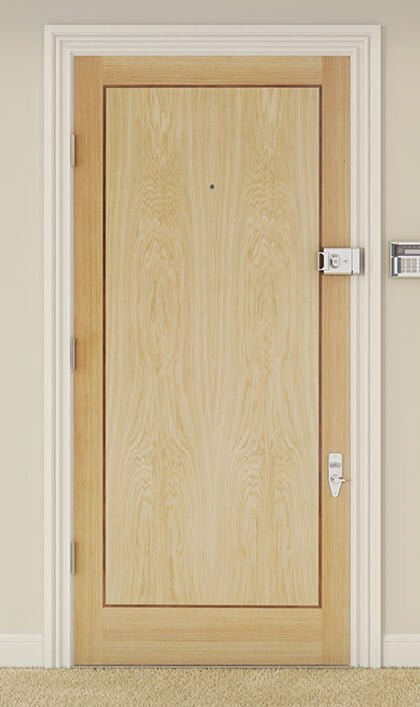 Internal fire doors are manufactured with hardwood rebated frames, using solid core doors with either a primed or veneer face. As well as using quality material and joinery to make our doors, we supply the highest quality security locks and ironmongery, including chains and hinge reinforcing bolts that can be fully fitted by our expert installation team. 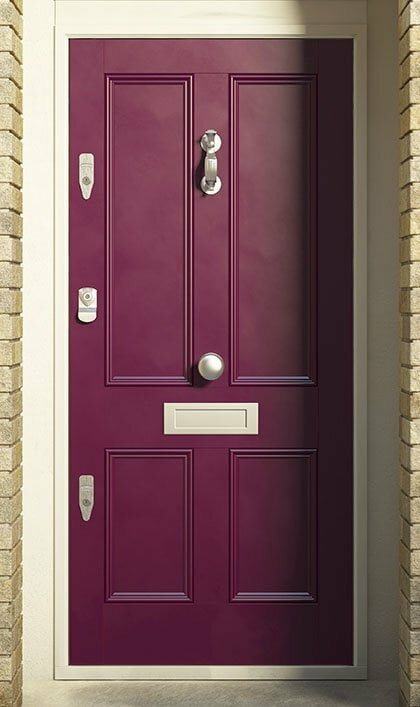 Numerous finishes for the locks and ironmongery are available to compliment the design of your door and match your home interiors. Chrome, brass, antique bronze, copper, black finishes are the standard finishes available. For the finishing touches, we can add door knobs, knockers, numerals in matching chrome, brass, and antique bronze finishes. When it comes to the installation of security and panelled doors, we also install high quality hinges and finishing caps (on the BBG Security doors). Discuss your bespoke options with a member of our team, and we will provide a free, no obligation quotation regarding your requirements. With over 90 years of experience within the security industry, we are able to provide complete peace of mind and expert advice regarding your every security requirement. If you would like to find out more about the security doors & locks solutions available from Best Brothers Group, contact us using the online contact form, email us directly at [email protected] or call us on 1-888-224-8688. To see what areas our locksmiths cover, look on our locksmith services page. For more information on Best Brothers Group types of locks, follow the link. Burglars are often deterred from targeting a property if effective security precautions are evident. Therefore investing in maximum security front door locks will not only protect your home or commercial property, but will also deter trespassers in the first instance. As leaders in the security industry, BBG offer customers extremely high-quality door locks, combining almost a century of experience with modern technology. This ensures that our products suit specific requirements and keep our valued customers safe. The prestige and quality of our security door locks are evident through the many awards and accreditations we have received over the years. Among these awards is “Secured by Design” which means our door locks have earned the title of “Police Preferred Specification”. You can rely on BBG’s expertly crafted door locks, whether you are in need of a high security deadlock door or a padlock to keep the contents of your shed secure. We are sure you will find everything you need, including a quick and convenient online payment option. Our range of products include rim deadbolts, thumbturn and lever mortice deadlocks among many others, all of which meet and exceed industry standards. We will carry out a free survey on your property to help us offer tailored advice on the best door locks to suit your individual requirements. Depending on your address and neighbourhood, we will make the best possible decision for your property security. For example, a ‘Marine Finish’ is recommended for sea-side locations to protect against corrosion. For more information on the best option for you, please contact us or browse our extensive range of high security door locks online by clicking through to your preferred locking device.